Welcome to our new website! Please browse through the pages and familiarize yourself with our commercial roofing & industrial roofing services, systems and company information. 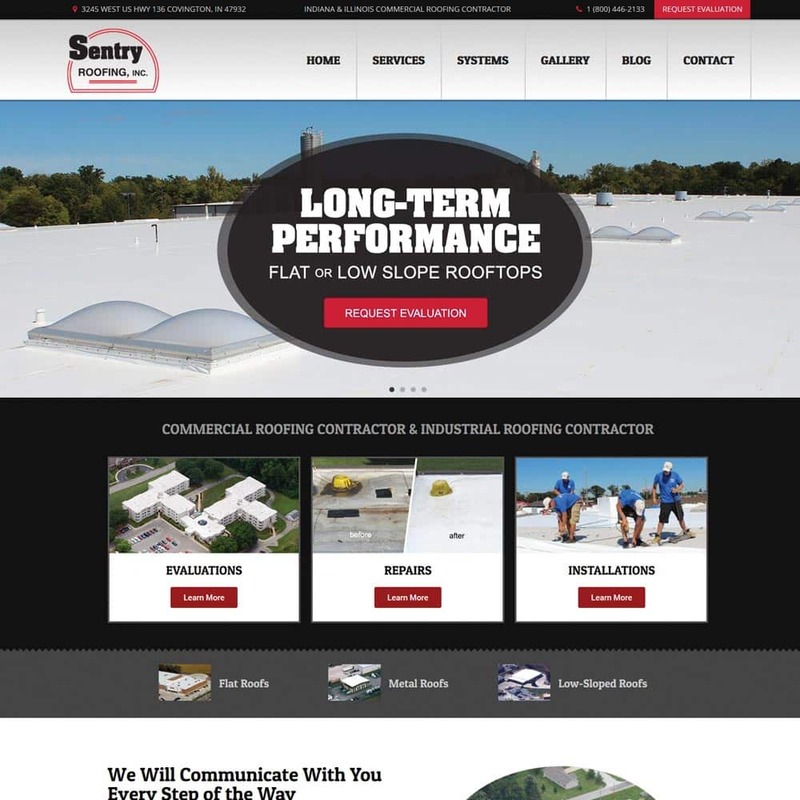 Sentry Roofing, Inc. is your local resource for a commercial roofing contractor or industrial roofing contractor in Indiana and Illinois. We proudly offer roofing installations, evaluations & repairs to building owners & general contractors.